Looking to boost your social media exposure? Are you feeling like you don’t get the exposure you deserve on social media? Do you want to increase your visibility on the social platforms you use and get more followers? Since more people than ever are now using social media, the competition is tougher than ever, and standing out from the crowd and gaining social media exposure is getting increasingly difficult. This means that in order to continue to generate great social media results, you need to work harder than ever to gain more social media exposure. Or, you can just identify the things that are clearly working, double down on those, and then leverage the tactics and tricks that your competitors aren’t using in order to gain a greater exposure. With more than 2,5 billion people now having social media accounts, and literally billions of social media posts being shared every single day, this might be easier said than done, but that doesn’t mean it is impossible. In fact, with the right strategies, you can skyrocket your social media exposure and reach success. Fortunately, those strategies I’ll be sharing with you today. As a person who is using social media for marketing purposes, social media exposure is everything. Social media enables you to reach millions of people in a matter of seconds, at least with the right strategies, and back in the days, this wasn’t even possible back in the days. With so many people using social media, you know that the social media exposure is there, you just need to make sure that you get exposure to yourself and your brand. There are a number of ways in which social media can be leveraged, and I often emphasize that social media is a relationship tool, not a promotional tool. This is because marketers tend to view social media with traditional marketing eyes which includes just shoving as much as in their customers’ throats as possible. But no matter if you are looking to leverage social media as a relationship tool or a promotional tool, the mission is pretty straightforward with social media, as it is all dependent on one thing: that you have social media exposure. Having people’s attention (in other words having social media exposure) is the first step to driving marketing results. If you don’t have social media exposure, you won’t be able to generate any marketing results with social media, considering the fact that all marketing results are dependent on people. Let’s dig into some ways that you can boost your social media exposure, and thereby laying the foundation for great marketing results with social media. It’s important that you start from the ground up and ensure that you have a solid foundation before building anything else. No matter if you’re on Facebook, Instagram, Twitter, or any other social platform, your profile is equally important. Let’s say you are going to speak in front of a crowd of thousands of people. Of course, you want to look good. The same goes for your social media profiles. You always want to make them look presentable and show your brand in the best light possible because your profile is the first thing people will see when encountering your brand on social media. 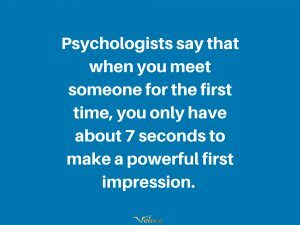 After all, we know how important the first impression is. If you have an incomplete profile that looks unappealing, then that’s an impression that will remain about you for a long time to come. And do you really want people to think about low-quality and no attention to detail when thinking about your brand? Then make sure you complete your profile and makes it look presentable. As a brand, you want to add your logo as your profile picture, and then use it consistently across all your social platforms. Having your logo consistently across all your accounts not only help make people associate your logo with your brand (increased brand awareness), but it also makes it easier for people to recognize you across platforms as they’ll see something familiar. If they are available, having a consistent username on all your social platforms is also a good idea. Again, having your brand name is the obvious thing to opt for. If you see a brand and want to search them up on social media, what do you search for? Their brand name of course! By using your brand name, and having it consistently across all your social platforms, you make it easy for people to find you, and recognize your accounts across different platforms. This is a part of the social media profile that many brands fall short with. The fact is that all social platforms offer you the ability to write a bio/description of your profile, and in your case, your brand. Your bio is the most important part of your profile because that’s what will present your brand’s personality and capture the interest of your profile visitors. It is the part of your profile which you can stand out the most with and thus grasp your audiences’ attention to ultimately boost your social media exposure. It’s simple but it makes for a huge difference, so spend a few extra minutes perfecting your profile and you’ll notice that you’ll be able to grasp the attention of more people and this increase your social media exposure. Growing followers is a common method to increase your social media exposure, because the more people who follow you, the more social media exposure you’’ get, but growing followers is not all, even though it is an effective strategy if you are able to build an engaged following. When it comes to following users in your niche, it’s about establishing yourself as an authority in your industry. In starting to follow users in your niche, you begin building relationships with the people who are operating in your niche. Now, you might be wondering how this will help you boost your social media exposure, but the truth is, it does. Based on the principle of networking, having relationships with individuals who are doing the same thing as you is extremely valuable as you can share experiences, discuss tips on how to get better results, and also help each other reach success. Far too many people see people who are operating in their own industry as competitors, but what you’ll find is that if you focus on building relationships, it’ll be far more valuable and beneficial than viewing them as your competitors. When I say like, I mean that you should tap ”like” on posts. Liking other posts in your niche is a great tactic for getting your account seen by those who aren’t already following you, yet might be interested in doing so. By liking other people’s posts, the people who have shared the posts will get a notification, thus increasing your page’s visibility. In fact, some people will even become curious and look at your profile. This is where a strongly optimized profile comes in place because it can be the difference between if they decide to follow your page or not. When using this approach, it’s important that you find the right social media posts to like. These should be posts that have been shared by people who are passionate about your industry. But how can you know that they are? Well, the most obvious tell is when you look for posts that are about the industry you’re operating in. Liking, following and commenting all fall into the same category of engaging, so the rules of using the are almost the same. If you want to take it one step further, why not use all of them? Íf you are to like, comment, and follow, you have a bigger chance of grabbing people’s attention, getting them to follow you, and thus boosting your social media exposure. The best part is that when commenting, you get on a much deeper and more personal level, and use social media as a relationship tool rather than a promotional tool, and doing this will obviously grant better results. Best of all, you build relationships with people and make them more engaged in your brand, which also significantly increases their chance of becoming customers. When commenting on people’s posts, though, avoid commenting general terms that can be viewed as spam. This will only hurt you, as it sends the signal that your brand is spammy, and again, this has to do with the importance of the first impression. Make sure you leave comments that are genuine, thoughtful, and clearly written by a human who has actually carefully consumed the post and not a bot. Kind of a no-brainer, but the content you share on social media is critical for success because all social platforms spend on it. First off, actually sharing content on social media is the first step. It is with the content you share on social media that you’ll be able to reach your target audience and ultimately impact them into becoming customers of yours. Sure, having a lot of followers is great, but the reason you want lots of followers is to reach them. If you have a lot of followers but never share any content, the many followers won’t benefit you one bit. On social media, the 80/20 rule is often talked about. This means sharing 80% content that provides value to your audience, and 20% promotional content. This also ties together with what I said earlier about the importance of using social media as a relationship tool and not a promotional tool. People aren’t on social media because they want to have ads shoved down their throats, but instead, they are using social media tube inspired, keep up with the latest happenings, and pass time. There are brands that successfully incorporate their products into posts that provide value, which means that at the same time as they’re bringing their audience immense value, they get marketing and social media exposure of their products. But the good news is that even when you’re not sharing blatantly promotional content on social media, you gain marketing exposure since you, with the help of your valuable content build your relationships and increase your social media exposure. Because when you have something of value, you tend to attract more people. Hashtags are not effective on all platforms and might not be beneficial to use across them all. The good news, however, is that there are some platforms where hashtags generate tremendous results and help you dramatically increase your social media exposure. Facebook is an example of a platform where hashtags aren’t very effective. And that’s why almost no one uses them anymore. On Instagram and Twitter, on the other hand, hashtags are very powerful. Use the right hashtags, and you’ll get a boost in your exposure and increase your visibility. Apart from what some people think, it is far more beneficial to use hashtags which are relevant to your niche as opposed to just using the most popular hashtags. That’s because, with highly targeted hashtags, you’ll attract the right people, and actually those who care about what you post. If you just use generic hashtags, you might get a higher engagement, but what does that engagement mean when it is done almost exclusively by bots? You might believe that the more you post, the more exposure and visibility you’ll get. And that’s a very reasonable thought. Only that it isn’t true. The ”ideal” number of social media posts varies between social media platforms. In fact, the ultimate number of posts varies between different pages and brands. There have been numerous studies looking at the ultimate number of posts you should share on respective social platforms to increase your social media exposure. The numbers they’ve found vary a lot, but they all agree on the fact that you should share a post at least once a day on every social media platform. Doing this ensures that you stay in constant contact with your audience and that you are never forgotten. If you want to increase your social media exposure, you should consider advertising and boost your page through targeted ads. Advertising will get you noticed from the millions of pages out there, helping you in networking with the larger influencers. Also, depending on what your business page is all about, I would also consider setting up a social media contest to get more reach and exposure. In today’s marketing world, there are so many things that fight for our audiences’ attention, and if you want to capture it, you need to bring something new to the table. If you’re spam posting, you risk clogging your followers’ feeds, and if you do, they might decide to unfollow you. A lot of brands and people are relying on the organic reach on the different social media platforms in their social media marketing strategies, but this is actually a mistake. As the number of people who use social media dramatically increases, so does the competition of people’s attention. And with higher competition means an ever decreasing organic reach. While the organic reach is still considerably high on certain social media platforms, for example, Instagram in particular, you shouldn’t solely rely on it. To increase your social media exposure, you should leverage social media ads. Ads on social media are tremendously effective as they allow for very specific ad targeting, ensuring that you only reach people who are truly relevant to your brand. This also means that the cost of customer acquisition using social media ads is low. And the principle of leveraging ads to boost social media exposure is simple: the more money you invest, the more social media exposure you’ll get. Awesome, right? 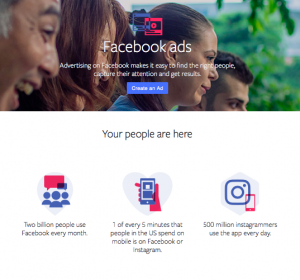 Facebook and Instagram ads are the most popular social media ads, but there are obviously a number of different social media platforms which you can run ads on. While there are many tactics you can use to increase your social media exposure on your own, such as engaging with other people, you shouldn’t underestimate the power of taking help from other people. Influencer marketing has skyrocketed in popularity over the years, and that’s because marketers have realized that the attention of their target audience is on social media, and on social media, their attention isn’t on the brands. Instead, their attention is on social media influencers who they look up to. And as a brand, it is very hard, if not impossible to get people to look up to you the same way they look up to influencers, and you know what they say: if you can’t beat them, join them. Or, in this case, partner with them. 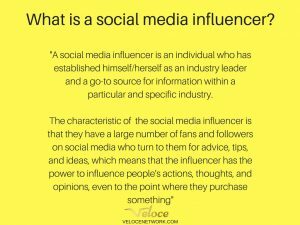 Social media influencers are industry leaders on social media – trusted individuals within a specific niche that have established themselves as leaders, authorities. Because of this, people in that niche go to them for advice and inspiration. People trust them to give them great advice, and by partnering with them, you can have them promote your brand, and thus have the messages you’re trying to mediated make a much greater impact as opposed to spreading the message yourself. Because of the fact that influencers are trusted individuals, the messages they mediate are far more trusted than anyone else’s, and this is why brands choose to partner with influencers. 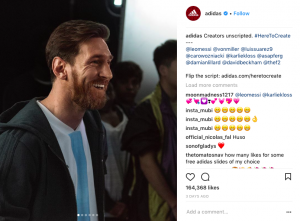 Brands will never come close to the trust that influencers have, and so instead, they partner with them to increase their social media exposure. 86 percent of females turn to social media outlets for opinions and advice on what to buy. Partnering with influencers allows you to piggyback off the authority, trust, and exposure that influencers have, and then benefit from that to increase your own social media exposure. This is a tricky point that may or may not be relevant to you. When many brands start out with social media, they ask the question ”which social media platforms should I use? Which are the best?”. And the fact of the matter is that it is impossible to answer as it depends on what type of business it is, and what resources it has. There are a ton of social media platforms out there that you can use, but that doesn’t mean that you should be using all of them. In theory, the more platforms you use, the more people you’ll reach, right? But that is not always the case. First off, many brands make the mistake of hopping on each and every social platform they can find, and what ends up happening is that they don’t have enough resources to manage all of them properly, and so they end up generating average or below average results on all of them as opposed to generating amazing results on a few. In other words, trying to juggle too many social media platforms at once and not having enough resources can mean that you’ll end up spreading yourself thin and generating bad results on all of them. And the fact is, you’d rather have full focus on a few social platforms and generate amazing results because this will actually grant you better results in the long run. Now, how does all of this help you increase your social media exposure? If you have the resources to manage more social media platforms, then you should absolutely add a few relevant social media platforms to your collection. However, if you don’t have the resources, then focus on cultivating the social media platforms you’re currently using, because this will ultimately help you generate better results. On social media, the content you share is your value proposition. Therefore, the content you share is of the greatest importance for success and social media exposure. But what type of content should you share on social media? Well, we’ve already spoken about the 80/20 rule, but let’s go beyond that by looking at what type of content you should be sharing. When you realize the fact that humans are visual creatures, you understand its immense power and benefits. 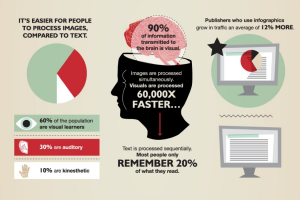 This means that you need need to pay great attention to visual content. Both image form and video form. Since visual content is more engaging than any other type of content, if you share high-quality content, you’ll have an easier time building an audience and getting them engaged. At the foundation of social media, success lies social media exposure. Without the attention of your audience, you won’t be able to generate any marketing results. In order to drive marketing results, you first need their attention and then impact them. There are many ways to boost your social media exposure, but many people neglect them and believe that the way you drive great results from social media is by sharing a post and then waiting for the results to roll in. But with the increased competition on social media, you need to work actively and consistently with strategic tactics if you want to crush your competitors and skyrocket your social media exposure. What tactics are you using to boost your social media exposure?